Dr. Chukwuma T. Apakama of Weight Loss Specialists of North Texas is dedicated to the maximum application of minimally-invasive weight loss techniques in the treatment of surgical diseases. Dr. Apakama gives his patients early recovery, minimal pain, and short length of stay from the facility's locations in Denton, Frisco, and Flower Mound, Texas. Dr. Chucks, as he is fondly called, works hard to give his patients the best care he can, treating them with dignity, respect, and empathy. He strives to be their advocate, partnering with them to improve their health and well-being. Dr. Chucks’ expertise is in open, laparoscopic, and robotic surgery with a focus on bariatric weight loss surgery using minimally-invasive methods of laparoscopy. He’s also interested in using robotics for procedures such as sleeve gastrectomy, Roux-en-Y gastric bypass, revisional bariatric surgery, and the gastric balloon. Other keen interests he has include reflux surgery, paraesophageal hernia repairs, achalasia surgery, colon resections, and hernia surgery. At a young age, Dr. Apakama was fascinated with medicine and passionate about touching lives positively, hence his decision to be a surgeon. His pursuance of this dream took him to the United Kingdom and several states in the United States after he obtained his medical degree at the College of Medicine, University of Lagos, Nigeria, a premier medical facility. He’s board certified in general surgery and surgical critical care. Dr. Chucks completed his general surgery residency at Columbia University College of Physicians and Surgeons at Harlem Hospital, a fellowship in surgical critical care at the prestigious Washington University in St. Louis, and a fellowship at Cleveland Clinic Florida in minimally-invasive and bariatric weight loss surgery. 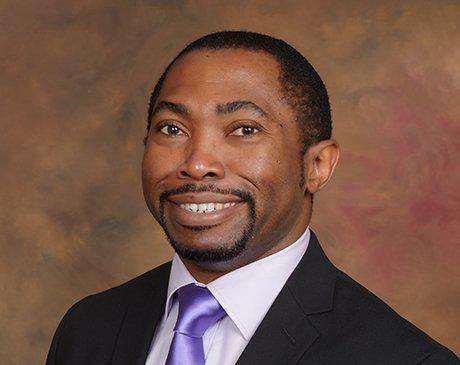 Dr. Apakama is a regular contributor to several medical research journals and a member of the American College of Surgeons (ACS), Society of American Gastrointestinal and Endoscopic Surgeons (SAGES) as well as the American Society of Metabolic and Bariatric Surgeons (ASMBS). He particularly values learning about different cultures and people. When he isn’t working, Dr. Apakama spends quality time with his wife and son. He’s an avid reader, competitive swimmer, and enjoys a good movie, soccer, and ping pong.